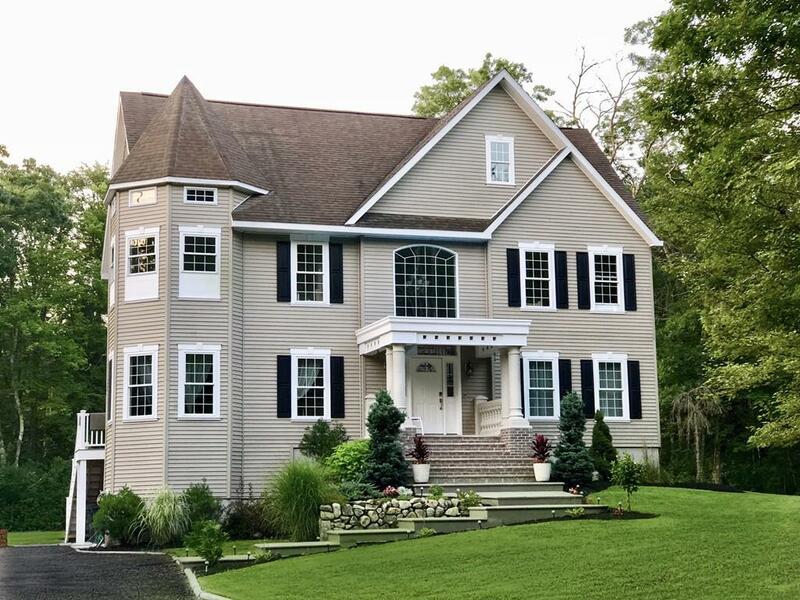 This spectacular Colonial has 3 bedrooms, 2 1/2 baths and is quaintly nestled on approximately 5.9 acres of land. The kitchen is approximately 14 x 20 offering granite counter tops, commercial grade stainless steel appliances, along with a 9 x 4 foot island-great amount of counter space! The wood stove in the living room/kitchen area truly ads a nice touch to setting the perfect cozy ambiance. Gleaming Brazilian Koa hardwood floors throughout. The master bedroom has a gorgeous master bathroom with a Kohler DTV shower system-true definition of luxury! Enjoy the private outdoors and warm up by the fireplace, a feature that is sure to impress! These are simply a few of the many options this home has-certainly a must see!